There is a shared sentiment among independent writers and developers that “free” is inarguably bad as a business model. It is bad. In fact it’s the worst business model in the world, short of paying someone to use your product/service. There is nothing good about a free business model, nothing. Viticci, though (and perhaps other writers that he is referring too), seem to assume that a free business model includes what Google or Facebook is doing. And that assumption is dead wrong. Facebook, Google, and this site do not operate within the “free” business model. We have an advertising supported model, and such a model is very much a viable and sometimes successful business model. Free, however, is not viable. Twitter is making the shift, and so too will every other “free” service. So I don’t think it is wrong for any writer to question the viability of any product or service when the company behind it has the business model of “free”. What is wrong, what is short-sighted, is to not question a service when they are running on the free, VC funded, model (I’ll come back to this). That’s simply not accurate. In business one of the first things that you are taught is this graph. It’s a simple little thing that shows how consumers (generally) adopt products. But the argument above assumes that the first two consumers don’t exist. 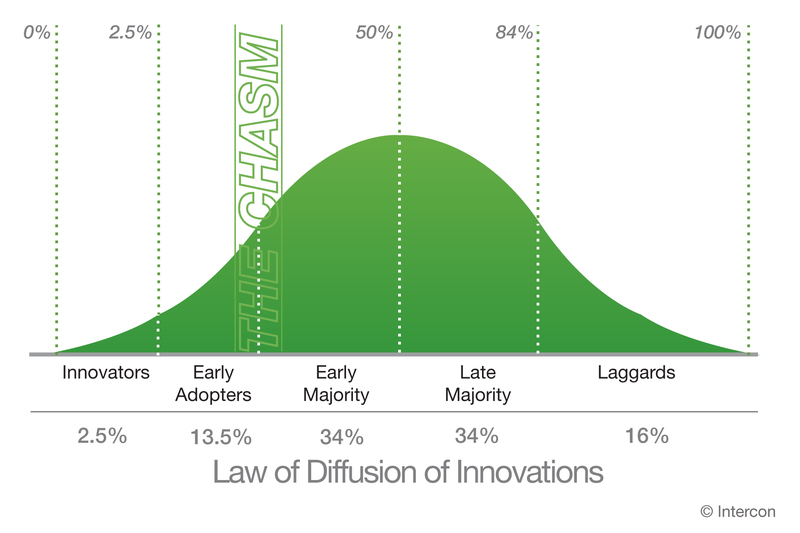 But that’s wrong, because we know that innovators and early adopters exist. In actuality “free” to “get” “massive” “users” is an impatient shortcut devised to skip over the first two classes and get right to “early majority”. Why? Because it takes too long and VCs/Investors need growth to show a return, and yadda yadda yadda. The way to get people to adopt your product or service is simple: make it compelling. Get the innovators and compel them to pass the word on down the curve. That’s how you grow, and guess what: if you charge from the beginning you can afford to wait (and you can eat more than Top Ramen). Free is not only a bad business model, but it is short-sighted and short-lived. No service can remain free indefinitely and that’s why it is negligent not to question a new free service when it comes out, because “figure it out later” can often end up being something that you, the user, aren’t going to be OK with and that is relevant.